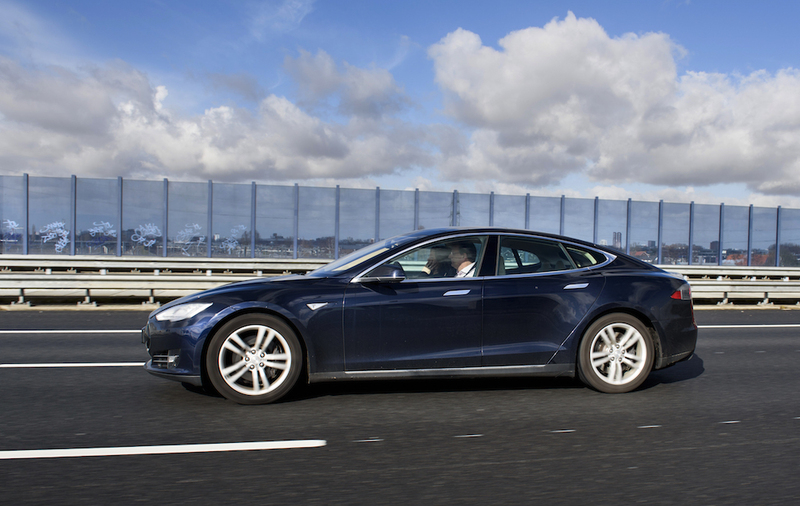 Tesla Motors will be offering a new entry to its only car line in production, a Model S 70D with all-wheel drive. The new 70kWh variant of the award-winning Model S is said to have a driving range of 240 miles which represents a significant boost over its 60kWh predecessor. According to Reuters, the Model S 70D will carry a base price of $76,070 and will begin shipping to customers in late May. In an interview Elon Musk says, “there’s a slight price increase, but it’s a huge value increase. Customers wanted something that had more range and they really wanted all-wheel drive.” Although Tesla’s official website indicates that the Model S 70D will be initially sold with 329 horsepower, Reuters reports that dual motors will be rated at a combine 514 horses. 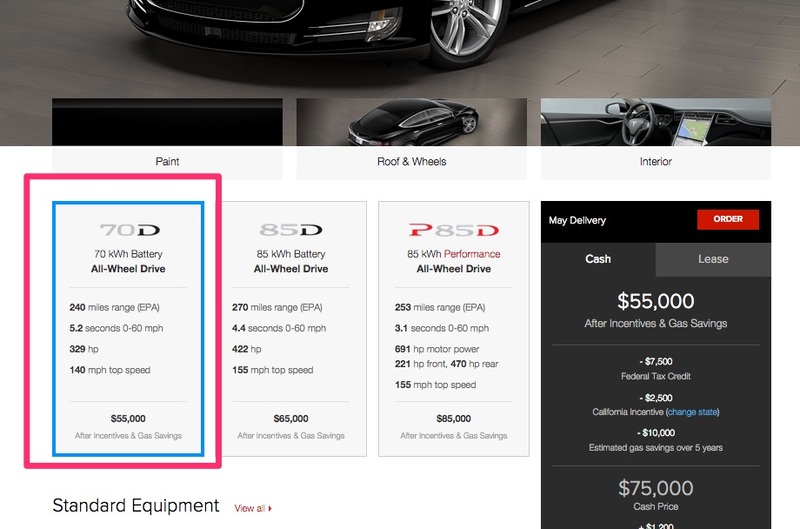 We speculate that this initial performance figure will be “updgraded” through Tesla’s over-the-air firmware updates. Some speculated, including myself, that he was laying the groundwork for Model 3 marketing. Maybe he still is, but the Model S 70D definitely provides more “charge cushion” and gives the company another twist to its only production car line at this point.